Stefan Štiljanović was born in Paštrovići (modern Montenegro). Paštrovići was mentioned in 1377 as one of the Serbian opština, and in 1423 they became subjects of the Republic of Venice after signing a treaty amid the Ottoman expansion. He was elected the knez of Paštrovići in the Rezevici monastery, and would be the last and most celebrated one. Štiljanović had seven mills in his possession. He left his possessions to his people for Syrmia (modern Serbia) after a feud with the Republic of Venice, in 1498. The same year he had the town of Morović built, where he would have his residence. In 1507 he gained the town of Siklós in Baranya by Louis II of Hungary. During the succession war between Ferdinand I and John Zápolya, he took the side of Ferdinand. After the crowning of Ferdinand on November 3, 1527, he became administrator of Novigrad and Orahovica. He also gained the villages of Miholjac and Glogovnica, estates in the Virovitica county and the town of Valpovo, in which he had his residence. He administered significant towns which had earlier been under the rule of Jovan Nenad. He had his own flotilla. Štiljanović was commander of the Slavonian frontiersmen who fought against the Ottoman Empire. In 1540, he was defeated and captured by the Ottomans, but Murat-beg spared his life because of his famous heroism and let him free. He left Slavonia, and his last years were spent in Siklós, where he died around 1543. After a time, the Turks saw a light shining over his grave. Thinking that they had found a hidden treasure, they opened the grave and found the incorrupt body of Saint Stephen. Serbian monks ransomed the relics from the Turkish Pasha and transferred them to the Šišatovac Monastery on Mount Phrushtsk. In 1634, Serbian Patriarch Pajsije I Janjevac sojourned at the Šišatovac Monastery and there he wrote the biography of Stefan Štiljanović in a modern revival of the traditional Serbian hagiographical literature. During World War II, as part of an organized destruction of Serbian cultural heritage and history, the Croatian Ustaše pillaged Štiljanović's tomb. The remains were deliberately damaged and valuables, such as his crown, were stolen and taken to Zagreb. Serbian church officials managed to recover the remains, which were then transferred and buried on the Göntér hill. Ottoman vezir Skender paša Mihajlović was his nephew (through his mother). His mortal remains remained at the Šišatovac Monastery, then during World War II to the St. Michael's Cathedral in Belgrade. 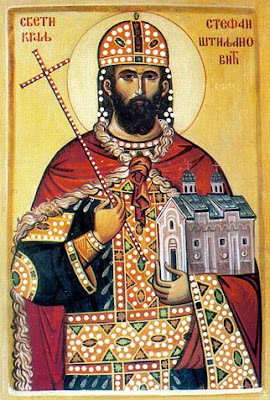 Štiljanović was proclaimed a Saint by the Serbian Orthodox Church as Holy Despot Stefan Štiljanović, his feast day is on October 4. 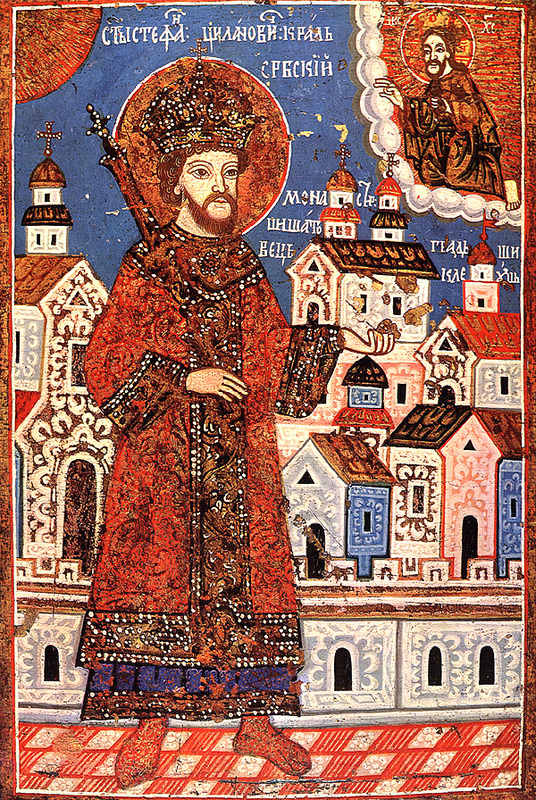 He is mentioned in a 1545 document of Šišatovac as a Saint. His widow Jelena (or Helen, also a Saint commemorated on October 4th) fled from the Turks after the death of her husband, but upon the miracle with the relics of her husband, she returned to Serbia and became a nun with the name Elizabeth. 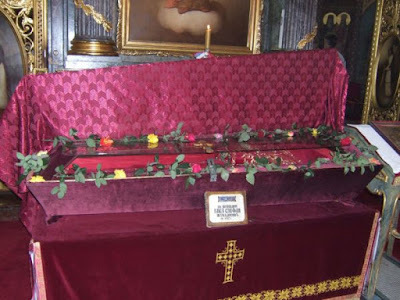 After living three years in asceticism, she departed in peace and was buried at Šišatovac Monastery, which she founded. 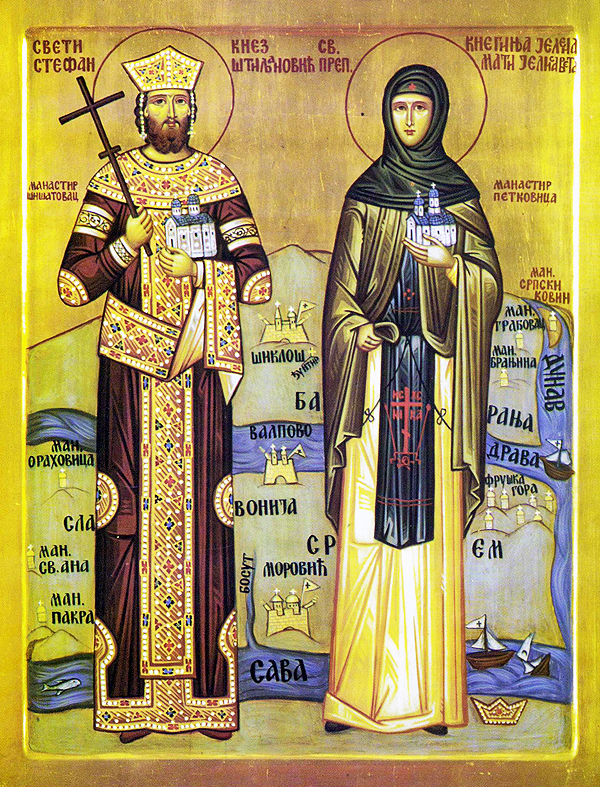 She founded the Petkovica Monastery on the Fruška Gora also. A church in Augsburg, Germany, is named after him and his wife: "Orthodox Parish of Saint Stefan and Saint Helena Stiljanovic".